If you are looking for a sugar free valentine to give out this year, check out this super cute idea using rubber duckies! 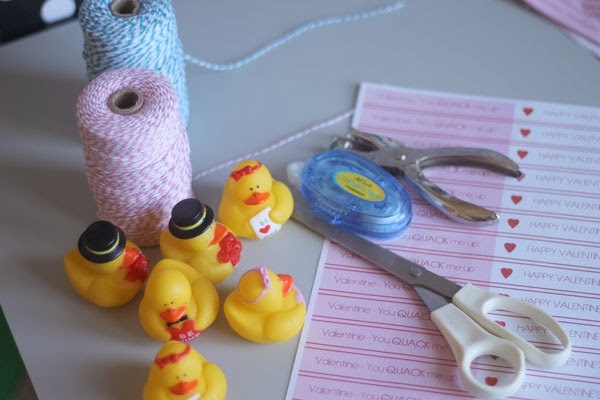 Oriental Trading has some really cute Valentine's Day ducks and Becky created the perfect printable to go with them: Valentine, you QUACK me up. Time the tag to the duck with some cute bakers twine and you are all set! You can get the free rubber ducky printable valentine over at The Crafting Chicks.